Fine quality, dunking tea-ball; a spring loaded tea infuser which allows you to stir your tea while it steeps, shortening the steep time; and 10 fillable, disposable teabags. The mesh is fine enough to retain a course (drip or press-pot) coffee grind to make an individual cup of coffee. In this case, some very fine coffee powder may escape into the cup, but will be fine enough not to be objectionable, or even noticed. 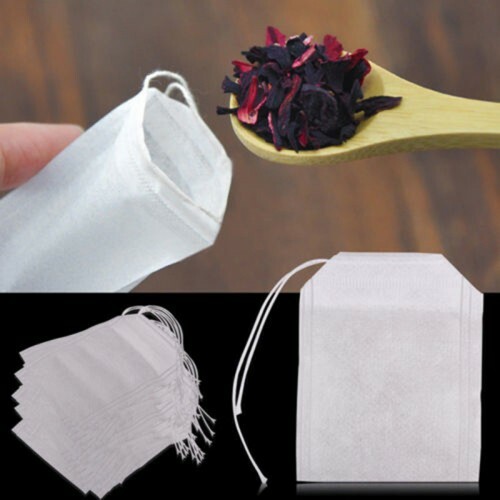 Suggested coffee/tea amount, for a standard 5-6 ounce tea/coffee cup, is that amount that will fill one side of the infuser, or half of the teabag...between a rounded teaspoon & a level tablespoon. A medium to dark roast will give the best flavor.